I've been daily masking for over a year know so I thought I would share some tips in case any of you are interested in daily masking. 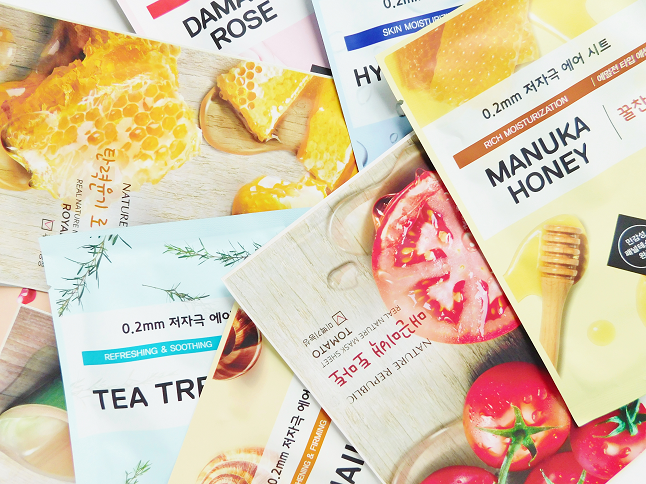 Using a sheet mask every night may sound extra, pricey and even time consuming but hopefully, these tips will help you realize that daily masking isn't as extra as it sounds. And if you guys are interested in hearing what daily masking has done to my skin in a year let me know and I will write another post on my experience. One of my top tips is saving the packaging of the sheet mask. There is so much leftover essence stored in the sides of the mask package that you can use the following day in your morning skincare routine. Fold down the opening of the packaging and secure with a clip this ensures that the liquid won't dry overnight. Use the following morning before your moisturizer to help hydrate your skin. If you are scared that using a mask a day might cost too much then just buy in bulk. You can find a variety of sets of masks on Ebay or Amazon for a really affordable price. You can find sheet mask sets of 15 for $13 on Amazon! I like to buy a couple of sets (enough to last me a month) and then repurchase when I had less than 10 masks left in my stash. If you are using a new sheet mask from a brand you never heard of making sure you follow the required time. I've made the mistake of leaving a new mask for too long and it made my skin break out! Every company makes their masks differently which means some may contain certain ingredients that could irritate your skin so be careful. I know a lot of people assume that adding an extra 10-20 minutes to your skincare routine my sound a little "extra" but I have a trick time making time fly. Whenever I'm about to apply a mask I usually find something to watch on Youtube or TV, play a quick game on my Nintendo DS, or read. Oh wow I had no idea that daily masking was a thing?! Did it make you break out when you first started doing it?